Cabbage is a popular leafy green vegetable having numerous edible and medicinal uses. It is an excellent source of essential nutrients and is widely used in various cuisines all over the world. 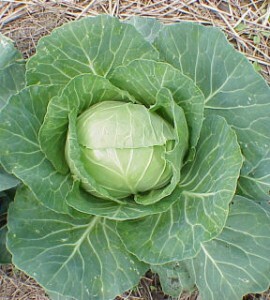 The vegetable descends from the wild field cabbage variety B. oleracea var. oleracea and is a close relative of other cole crops like cauliflower, Brussel sprouts and broccoli. The scientific name for the vegetable is Brassica oleracea. 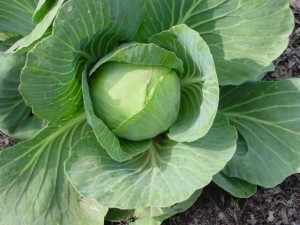 Some sources mention only the Savoy, white and red varieties as the delineate cultivars while the green cabbage and the spring greens are included into the White variety. 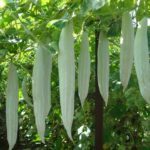 There are some hybrid varieties that are used for ornamental purposes and are referred to as “Flowering Cabbage” as the ‘heads’ of these plants resemble large flowers. Cabbage heads are basically the stem and leaves of the plant growing from a common base to form the round vegetable. The leaves can be smooth, curly or wrinkled, depending on the variety. 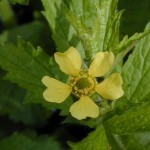 Size: The initial leaves grow as rosettes with each consisting of 7-15 leaves. Each leaf measures around 25 cm to 35 cm in length with the width ranging between 20 cm and 30 cm. Once the rosettes are formed, the plants grow leaves having shorter petioles that cups inwards to form the firm cabbage heads. Weight: Its weight varies between 0.5 kg and 4 kg (1 pound and 8 pounds). 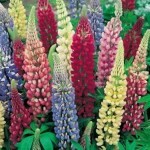 Color: The color varies from different shades of green to white and purple, depending on the cultivar. 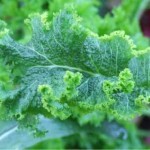 Taste: It has a characteristic leafy green vegetable taste with a crunchy texture that may vary from one cultivar to another. For example, the green and red Cabbages have a crunchier texture compared to the Savoy cultivar. According to experts, the edible Cabbage originally evolved from a European wild variety that grows along the coasts of North Sea, the Northern Mediterranean and the English Channel. The Romans and Saxons are believed to have introduced it to various regions of the British Isles. 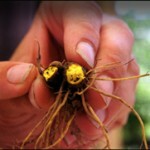 At present, the vegetable is cultivated throughout the world. Prevents Cancer: Its anti-cancer properties come from the rich glucosinolates content of the vegetable. The glucosinolates in Cabbage are converted by the body into isothiocyanate compounds that can prevent cancer. Different cultivars of the vegetable contain different glucosinolates, making them beneficial for fighting various types of cancer, Including breast cancer, bladder cancer, prostate cancer and colon cancer. 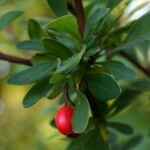 Works as an Antioxidant: It is a good source of antioxidants, which contributes to its cancer preventing properties. Eating plenty of Cabbage makes sure that the body gets enough antioxidants for maintaining the proper oxygen metabolism. Lack of these nutrients in the body can lead to a metabolic disorder called oxidative stress. Individuals suffering from chronic oxidative stress are more at risk of developing cancer. 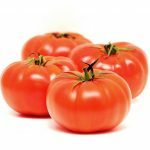 Anti-inflammatory Properties: The red variety of the vegetable contains the anti-inflammatory compounds anthocyanins, making them highly beneficial for preventing and fighting various inflammatory diseases. 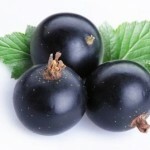 The other varieties also have strong anti-inflammatory properties due to their polyphenol contents. 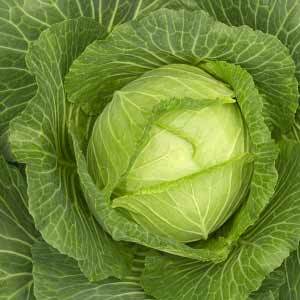 Beneficial for the Digestive Tract: Cabbage juice has been used for healing peptic ulcers over a long time. Additionally, modern research shows the vegetable to contain various nutrients beneficial for the stomach as well as the intestinal linings. These include antioxidant polyphenols, the amino acid-like substance glutamine and glucosinolates (along with the ITCs or anti-inflammatory isothiocyanates synthesized from them). The ITCs help to regulate the populations of the bacteria Helicobacter pylori within the stomach. It is also rich in fibers, making it highly beneficial for curing constipation related health problems. 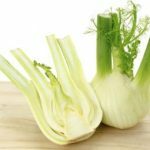 Beneficial for the Cardiovascular System: This is another notable health benefit with the vegetable reducing the cholesterol level in the heart to enable the cardiovascular system to function properly. Helps in Weight Loss: Research shows it to be beneficial for fighting obesity. Its tartaric acid content helps to subdue the conversion of carbohydrates into fat, preventing excess weight gain. Substituting one meal with Cabbage salad every day helps to lose weight within a short time. There is a popular fad diet plan known as “Cabbage soup diet”, which involves drinking plenty of Cabbage soup for losing up to 10 pounds weight within one week. However, there is disagreement among experts regarding the effectiveness of this diet plan. Rich Source of Vitamin C: It is rich in vitamin C, which helps to slow down the aging process by fighting the free radicals in the body. The high vitamin C content makes it useful for improving the immune system as well as for treating health problems like common cough and cold. It also helps to fight depression and maintain proper nervous system functioning, thus preventing conditions like Alzheimer’s disease. Rich Source of Vitamin K: Cabbage provides around 63% of the recommended daily value of vitamin K. Vitamin K promotes the osteotrophic activity in bones to maintain the proper bone metabolism and keep them healthy. Additionally, the vitamin helps to cure Alzheimer’s disease by minimizing the neuronal damage in the brain. Contains Essential Minerals: The vegetable is also a good source of various essential minerals including manganese, potassium, magnesium and iron. Potassium is a vital component of body fluids and cells that monitor the blood pressure and heart rate. 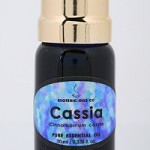 Manganese is essential for the body to produce the antioxidant enzyme called superoxide dismutase. Iron plays a vital role in the RBC formation. The fresh crunchy taste of the vegetable makes it an excellent ingredient for various dishes, while the countless medicinal properties make it an effective home remedy for various ailments. It is a common ingredient in numerous main course dishes and side dishes. Fresh shredded Cabbage is often added to salads, along with other leafy vegetables like lettuce, for its crunchy texture. One of its most common uses is for preparing coleslaw. Pickled cabbage is used for preparing various dishes such as kimchee and sauerkraut. The latter is a popular dish that involves fermenting the cabbage in lactic acid to produce its characteristic sour taste. It is one of the most commonly-used vegetables in the Polish cuisine. Numerous Indian recipes use it as a main ingredient as well. Fresh or pickled leaves are often used for wrapping various stuffed dishes based on minced vegetables and meat. Fresh leaves are used, along with borscht (a type of yoghurt) and beet juice, for making a special soup. Cabbage is also added to regular vegetarian and non-vegetarian soups and stews to enhance their taste and nutritional value. 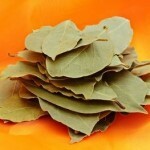 Compresses prepared from the leaves are used by nursing mothers for reducing pain and swelling of the breasts. Eating some raw vegetable helps to cure headaches and hangovers. Ground Cabbage is applied to wounds and bruises for accelerating the healing process. Cabbage soup is drunk for healing various inflammatory conditions. 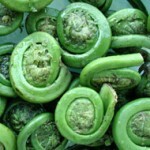 There are many ways to cook this vegetable, including boiling, frying, steaming and sautéing. It is necessary to wash the leaves properly to make sure there is no dirt or mud lodged in the creases. For the loose leaved varieties, one should remove the damaged or old outer leaves and then cut the inner leaves off the core before chopping or slicing them. The outer leaves of the tighter varieties also need to be removed in the similar manner, before slicing the whole head into quarters to cut out the tough core on all the slices. Then, the fresh leaves can be chopped or shredded for cooking. One can use a cabbage shredder or slicer for cutting it neatly within a short time. How to Boil: The Cabbage pieces need to be put into some boiling water and cooked uncovered for 3 to 5 minutes or until tender. One should adjust the time required for it to cook properly when cooking a whole Cabbage head. Adding some vinegar to the water before boiling the red variety helps to retain its color. The cooked vegetable is often said to have a pungent flavor and taste. The unpleasant odor results from the hydrogen sulfide gas which is produced due to overbooking the vegetable. The cooking time varies from one cooking method to another. Steaming the vegetable needs 4 to 8 minutes while stir frying it for any longer than 2 to 4 minutes ruins its delicate taste. Cabbage is rich in vitamin K, which helps blood to clot. 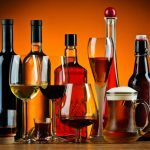 Due to this reason, eating high amounts of the vegetable, while taking some blood-thinning medication can lead to various unpleasant drug interactions. It is safe to consume Cabbage while pregnant. 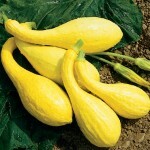 This low-calorie vegetable is an excellent source of vitamins and minerals essential for proper fetal growth. One cup of Cabbage can supply many of the nutrients required by the mother and the unborn child for maintaining proper health for the next nine months. However, one should avoid consuming excessive amounts of the vegetable during this time to avoid any side effects and complications. It should be avoided by nursing mothers as reports show it to increase the risk of colic in nursing infants. Fresh Cabbage heads are available at local vegetable stores and farmer’s markets. 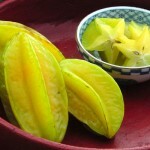 Pickled and canned leaves can be bought from grocery stores or ordered online. It needs to be stored in the refrigerator for preserving its vitamin C content. The whole head can be stored in a plastic bag in the refrigerator. The red and green varieties stay fresh for around 2 weeks when stored in this manner while the Savoy variety keeps for around 1 week. 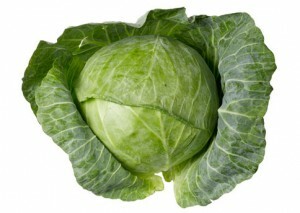 For storing a partial Cabbage head, wrap it tightly with a plastic sheet before refrigerating it. Its vitamin C content degenerates very fast once the vegetable is cut. So, it is not recommended to store it for more than 2-3 days after cutting. The heaviest Cabbage to be ever recorded weighed 62.71 kg (138.25 pounds). 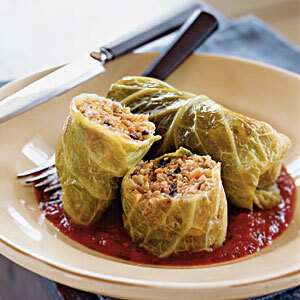 The Guinness Book of World Records record for the longest Cabbage roll is held by a 15.37 meter long roll. The vitamin C content of this vegetable is higher even than that of oranges, one of the best sources of vitamin C.
Check out the following images to find out about the appearances of its different varieties.